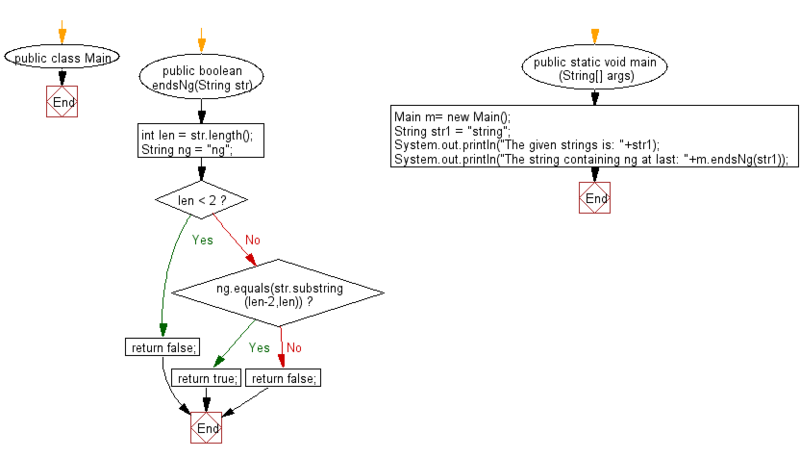 Java String Exercises: Read a string and return true if it ends in "ng"
Write a Java program to read a string and return true if it ends in "ng". Previous: Write a Java program to return a new string where the last two characters of a given string, if present, are swapped. Next: Write a Java program to read a string, if the string begins with "red" or "black" return that color string, otherwise return the empty string.